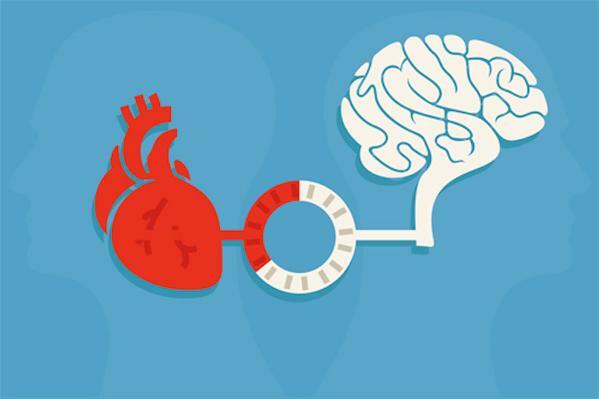 Cardiovascular risk factors linked to Alzheimer’s disease in human study. Currently there is no effective treatments for Alzheimer’s disease, so the focus is on prevention. In the future, medical teams may be able to provide patients with useful and actionable information about the impact different risk factors may be having on their brain health during routine clinical imaging and studies are desirable that work towards this goal. Now, a new study from researchers at the Keck School of Medicine have identified specific cardiovascular risk factors, such as alcohol consumption, smoking, obesity and diabetes, as early indicators of Alzheimer’s disease and dementia. The team state that their findings give a concrete idea about the relationship between specific vascular risk factors and brain health. The opensource study is published in the journal Radiology. Previous studies have linked cardiovascular risk factors and cognitive decline with vascular risk factors proven to damage the brain and sometimes resulting in cognitive impairment. The current study focused on specific risk factors and examined three main brain regions, including the hippocampus, precuneus and posterior cingulate cortex. However, because of each region’s connection to memory retrieval, gray matter volume loss in these areas the researchers predict that this may be a predictor of Alzheimer’s disease and dementia. The current study analyzed results from 1,629 individuals in the Dallas Heart Study (DHS) and divided the participants into two age groups. There were 805 participants under age 50, and 824 age 50 and older. The researchers evaluated the participants’ data from the initial baseline visit, which included laboratory and clinical analysis, and the follow-up visit seven years later consisting of a brain MRI and cognitive test, measuring mild cognitive impairment and preclinical Alzheimer’s disease. By comparing the initial visit in which cardiovascular risk factors were identified to the MRI results and cognitive scores, the team was able to distinguish the specific risk factors of alcohol consumption, smoking, diabetes, and obesity and their relationship to smaller volumes in the three targeted regions of the brain. The results confirmed that lower cognitive test scores correlated with lower brain volumes in each area. The current study found that risk factors of alcohol use and diabetes were associated with smaller total brain volume, while smoking and obesity were linked with reduced volumes of the posterior cingulate cortex, the area of the brain connected with memory retrieval as well as emotional and social behaviour. In addition, lower hippocampal mass was linked to both alcohol consumption and smoking whereas alcohol use, obesity and high fasting blood glucose numbers correlated with reduced precuneus size. The lab feel that additional studies can provide the ability to better identify the impact of specific cardiovascular risk factors on the brain and improve patient understanding of brain diseases. They go on to conclude that since no special imaging equipment is needed, there is a great potential to provide this service at many centers across the country.